To share a form with a data collector on Collect, you need to add their mobile number under the "Audience" section for the forms you want. Once you have created a form and published it, your data collectors can use it to survey people and submit responses. For this, you need to add their mobile number to the forms you want to give them access to. In this article, we will discuss how you can do that. Step 1. Go to your Collect account and the go to the "Forms" tab. Step 2. Search for the form you want and click on it. Step 3. Now, add the mobile number of your data collector in the "Audience" box. You will be able to see it on the right of the form. Step 4. Click on "Invite" to confirm. 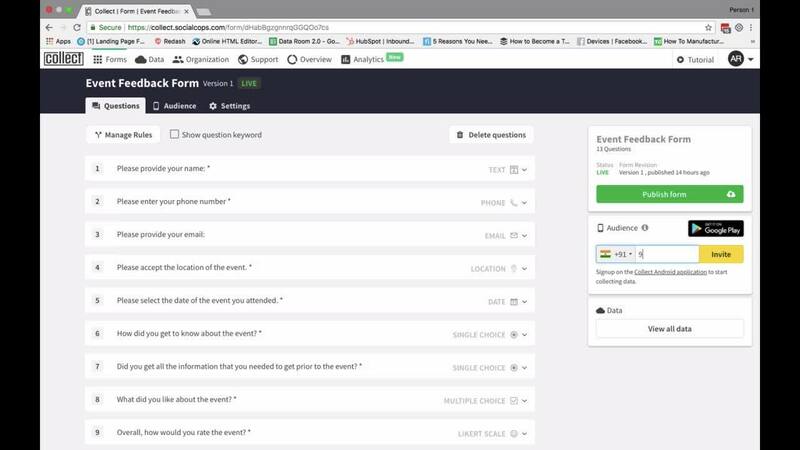 You can also watch the video below to learn how you can add someone to a form on Collect. Please use the full screen mode to view it clearly.